12 people have chosen to work together throughout the year – each on their own movement-based project. The group have been supporting one another to bring their projects to fruition. The ‘harvest’ is now ready and we would like to share these 5 performances with you. Please join us in the audience for any or all of these performances. They are free of charge and tea and coffee provided after the Tuesday performances. 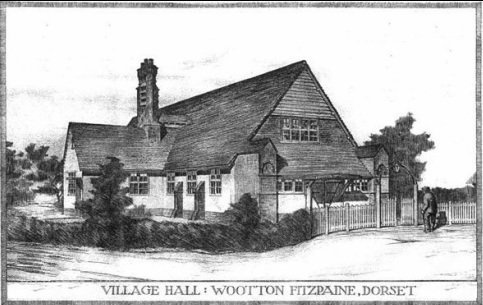 Tuesday 8th September ~ Morning – meet at 9.30am at Wootton Fitzpaine Village Hall, DT6 6ND. See map. 10.00 – 10.45 ~ Sharon Jacksties What Colour is Truth? Outdoors - meet at the hall at 9.30am. 11.15 – 12.30 ~ Carran Waterfield Little Blue Man - A walking performance in progress - Outdoors. Followed by drinks and light refreshments in the village hall. Tuesday 8th September ~ Evening – at Wootton Fitzpaine Village Hall, DT6 6ND. See map. 19.00 – 19.30 ~ Linda Dean Little White Bird - in the hall. 19.45 – 20.30 ~ Nick Sales Rock Songs - in the hall. 12.15 – 13.00 ~ Caroline Hepworth ‘Transforming the misshapen dog’ - A movement performance ritual taking place between the black cliff and the sea.